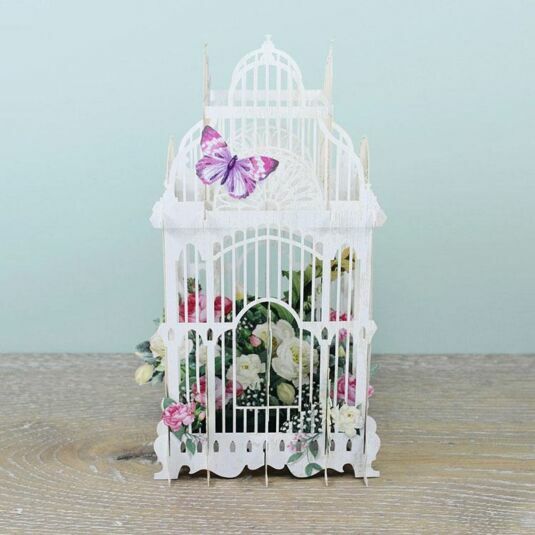 This wonderful 3D card will be loved by anyone who likes flowers, butterflies and pretty things. 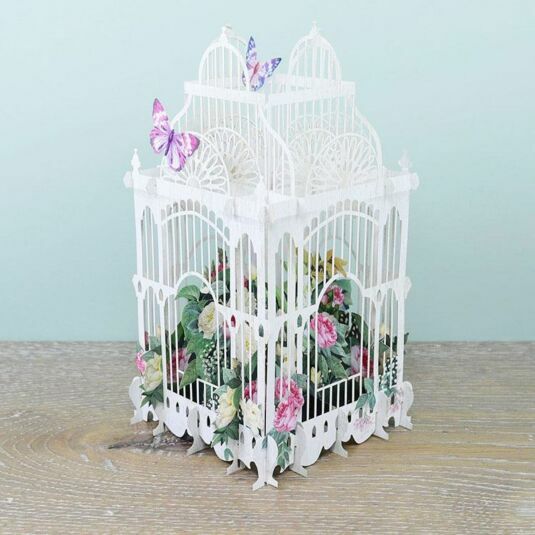 It opens up to become an intricate white bird cage, of the decorative kind to be found in the conservatories of country houses. 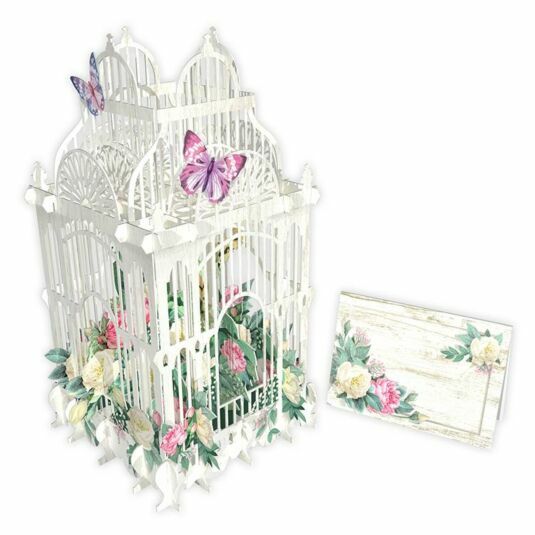 Inside, pink and yellow roses spill out through the bars and delicate butterflies flutter above. A separate gift tag adorned with roses is provided for your message. 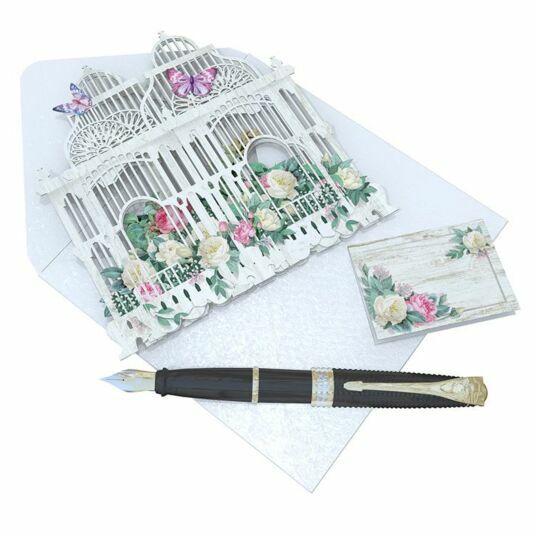 This beautiful card reminds the recipient of summer and all its delights, and is perfect for a birthday, Valentines or Mother’s Day.